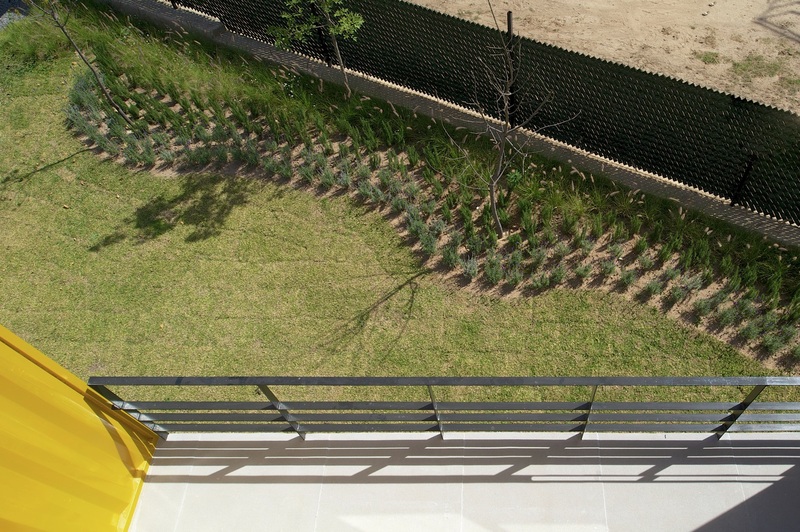 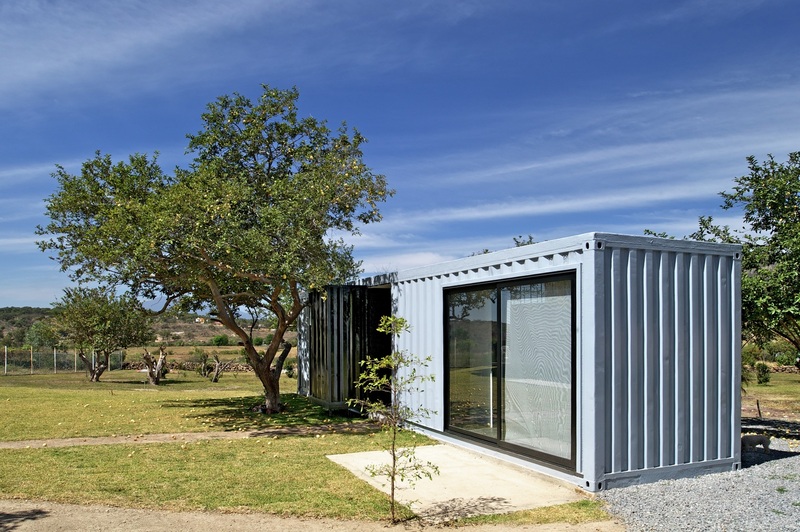 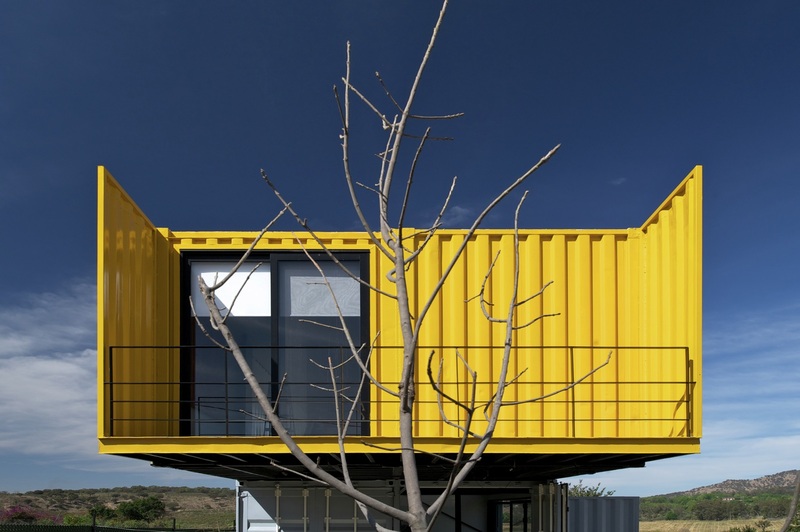 Huiini Container House in Mexico is situated in a quiet district of the city, Primavera forest. 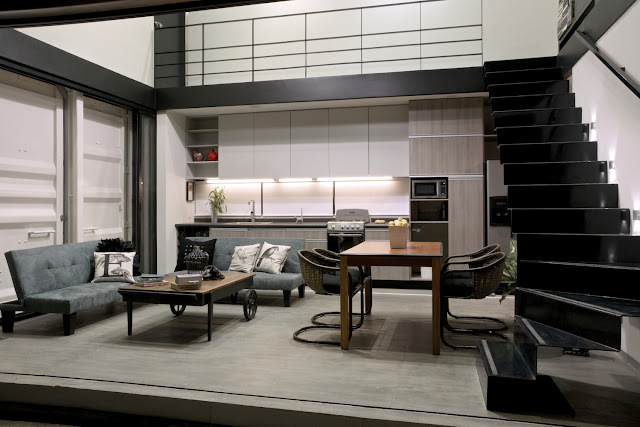 This place has its advantages; the home is connected with surrounding nature. 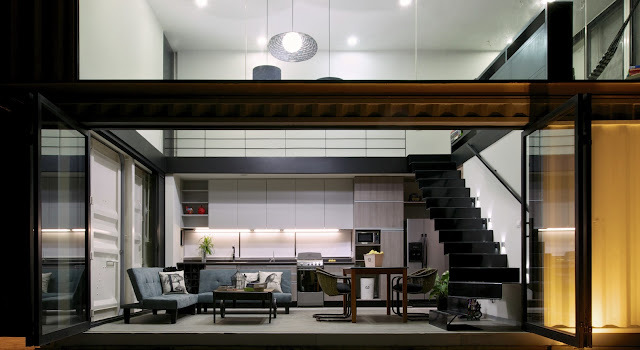 The owner of the house is retired single woman, but with great, creative and concrete ideas. 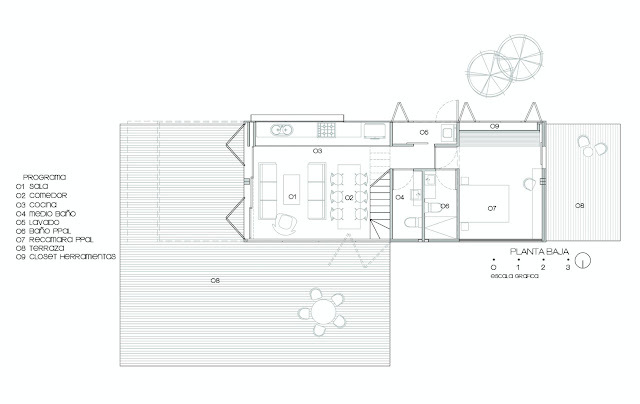 So, the house is made as the perfect place for retreat. 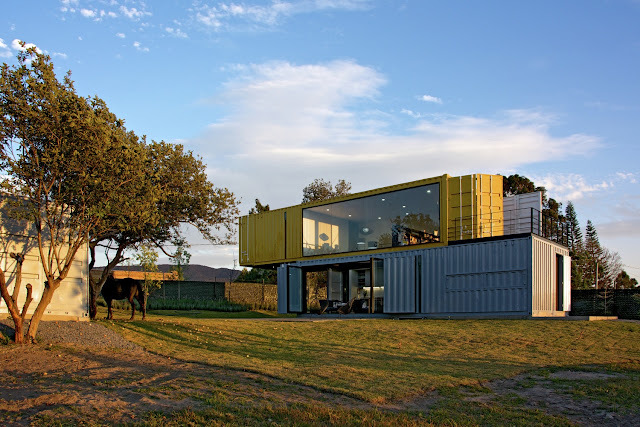 The idea of building the container house was arisen when the client wanted the home like "stacked boxes", as she does not live with curves or inclined ways. 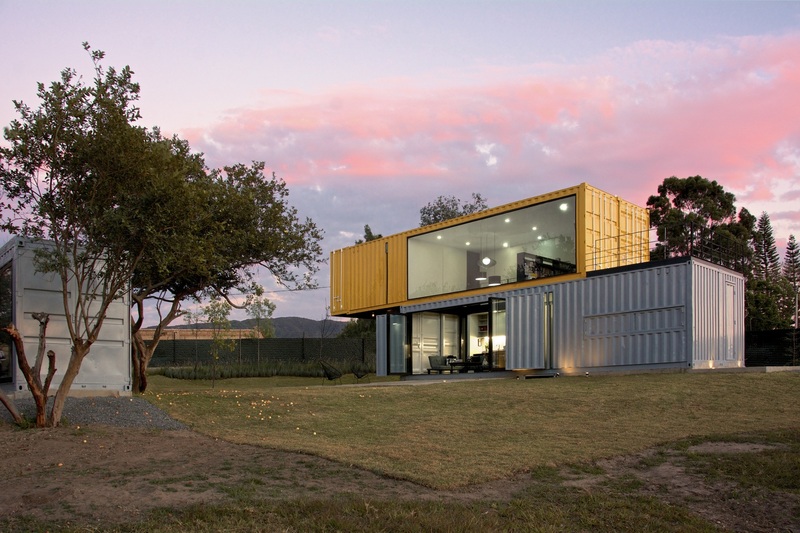 The project consists from 4 high cube containers - two downstairs, two upstairs. For creating two terraces on each level there are offset. 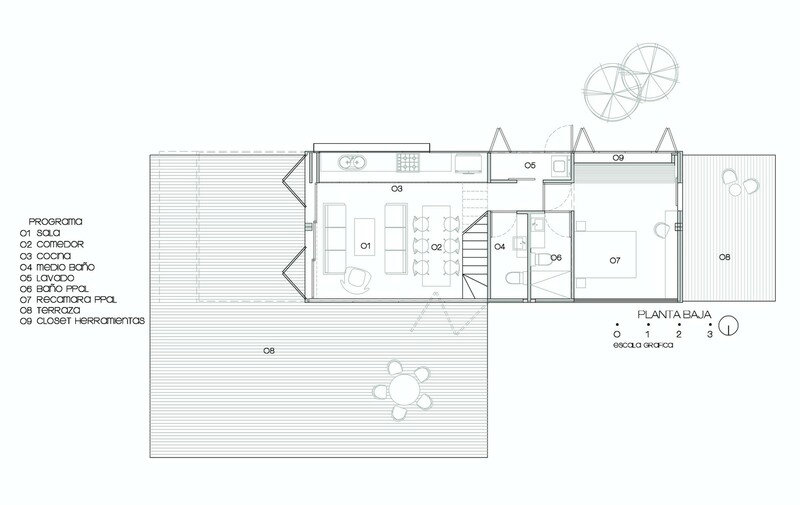 The internal area is 120 square meters. The container house has two floors. 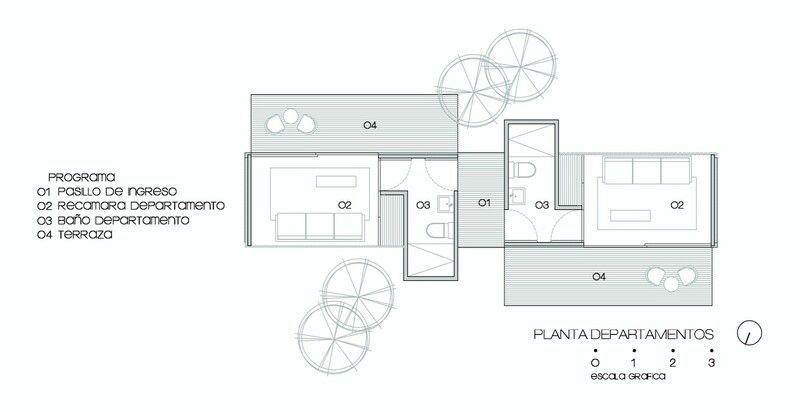 The ground floor includes living room, laundry room, kitchen, bathroom, master bedroom with bathroom, tool room and terrace. 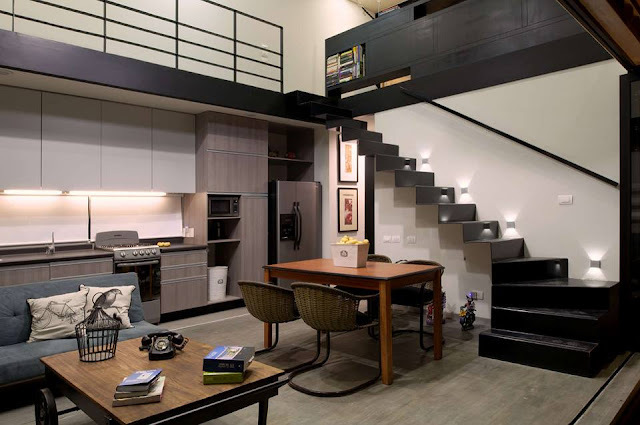 The guest bedroom has walk-in closet and bathroom, studio, hall-gallery, terrace, double height living and dining room are upstairs. 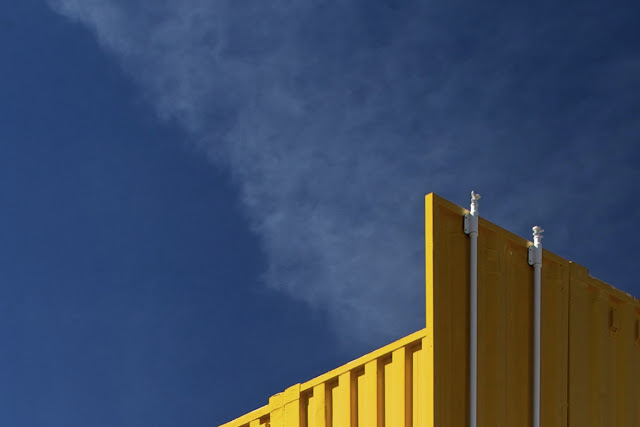 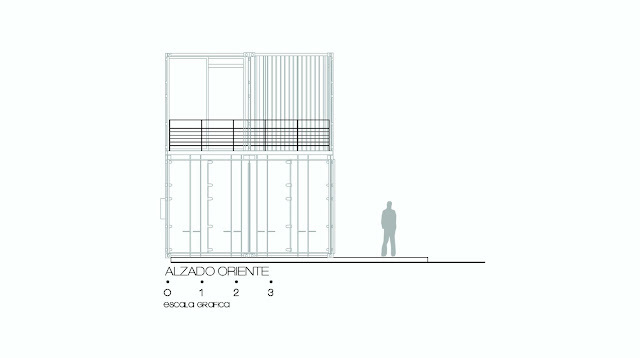 The openings in facades can be either closed or completely open if it is desirable. 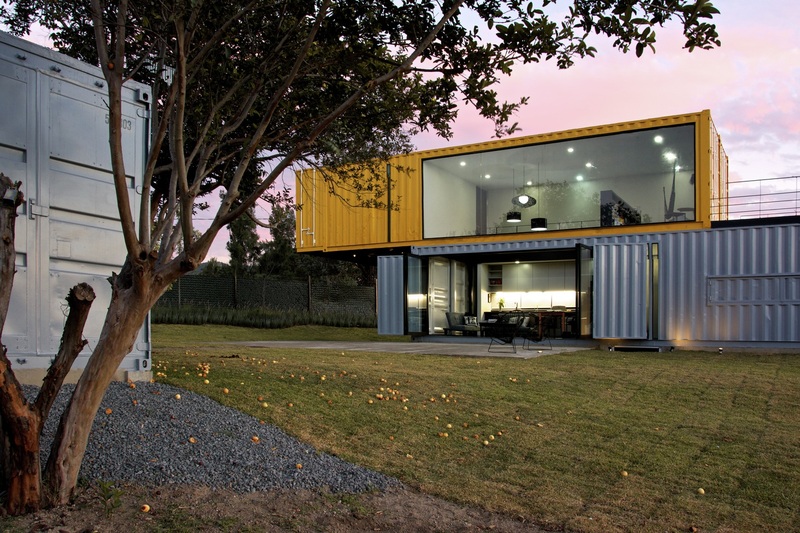 The shipping containers have a lot of advantages. 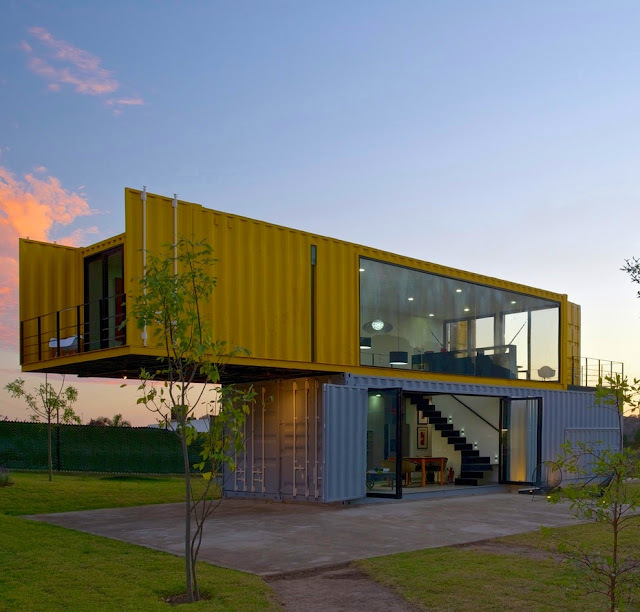 For instance, they have recycling structure; they can be constructed very fast. And if the location was changed the desing should not be changed, and it has modular advantages. 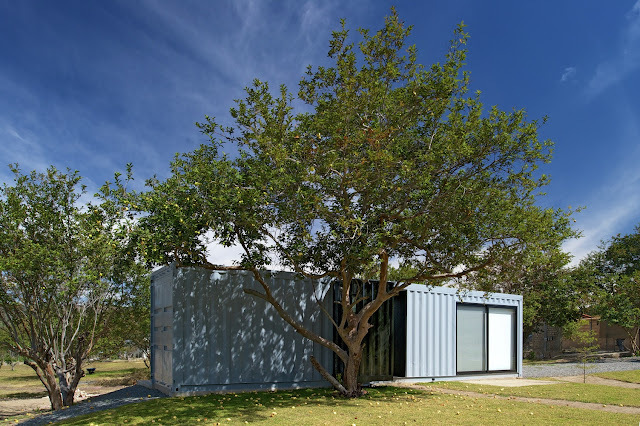 But containers also have the challenges such as temperature control (in such case the house was built with longer facades north-south). The entire interior was lined with thermal acoustic insulation for protecting from cold and for keeping warmth. 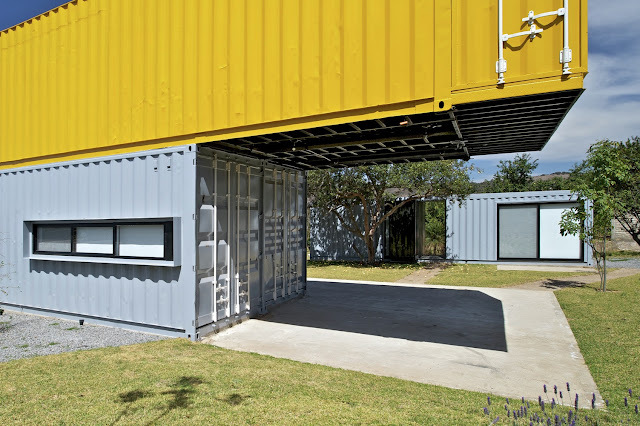 When the temperature changes the metal construction moves and it makes noise during the rain. 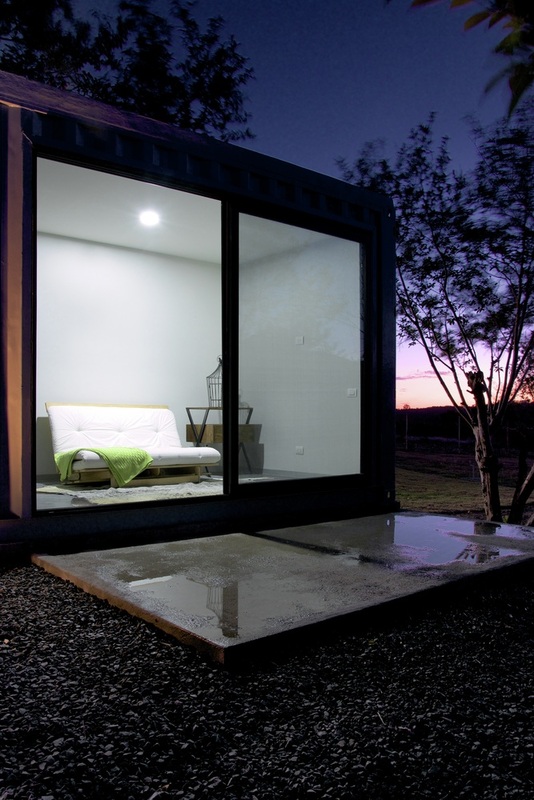 The container house has passive heating systems and the owner plans to buy solar cells. 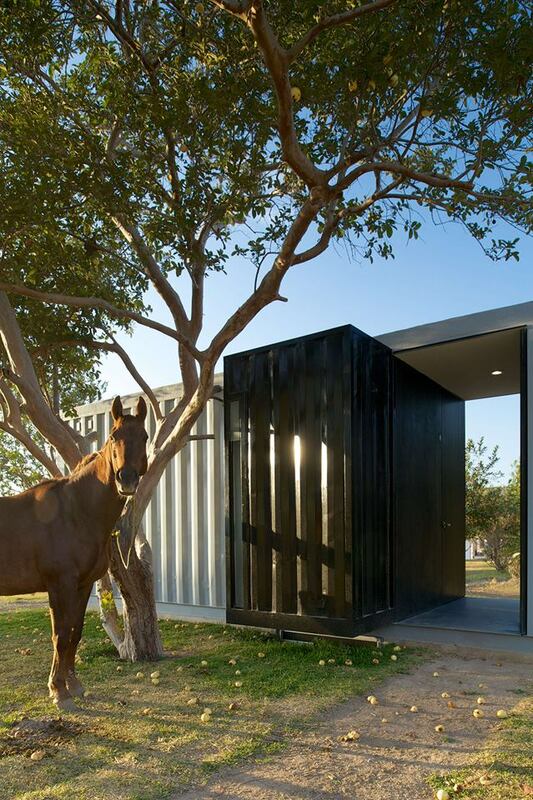 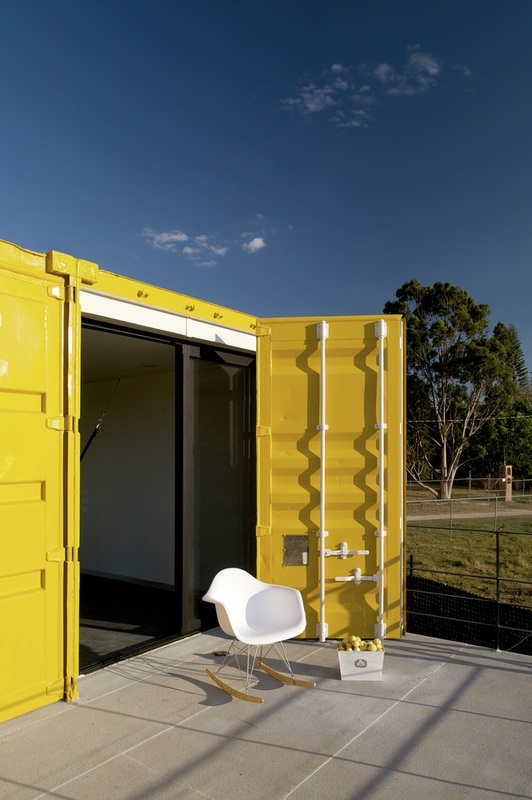 Because of the site, which is remote and spacious, for guests the architects added one container that contains two mini studios, each of them has full bathroom. 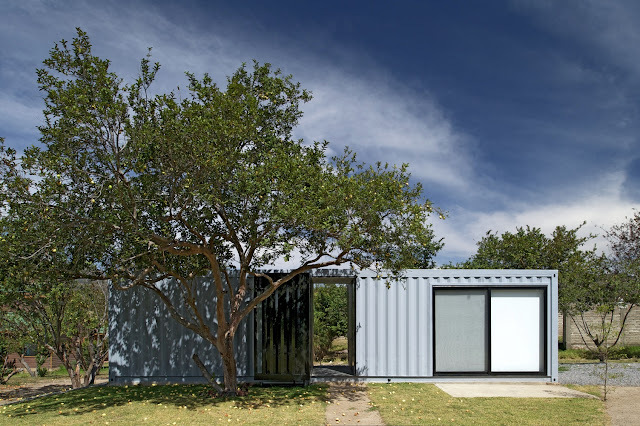 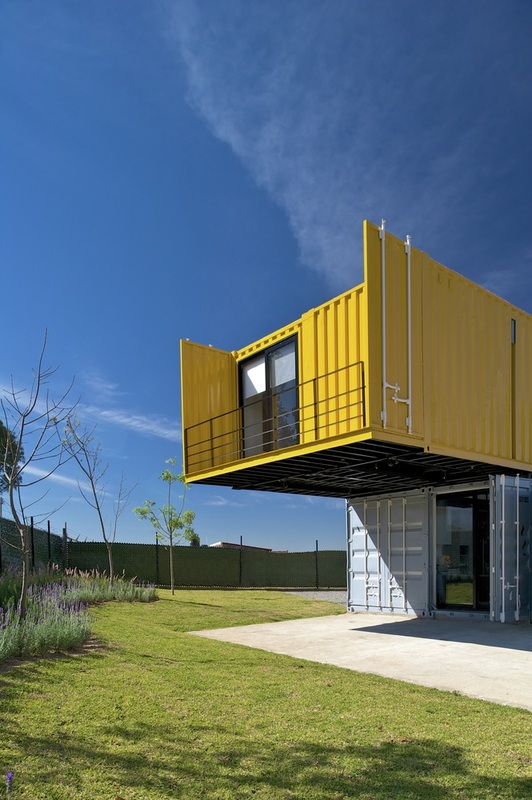 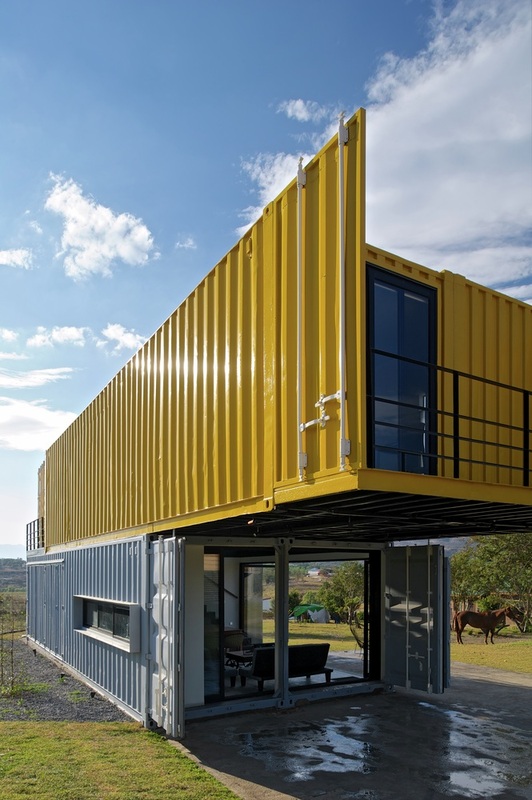 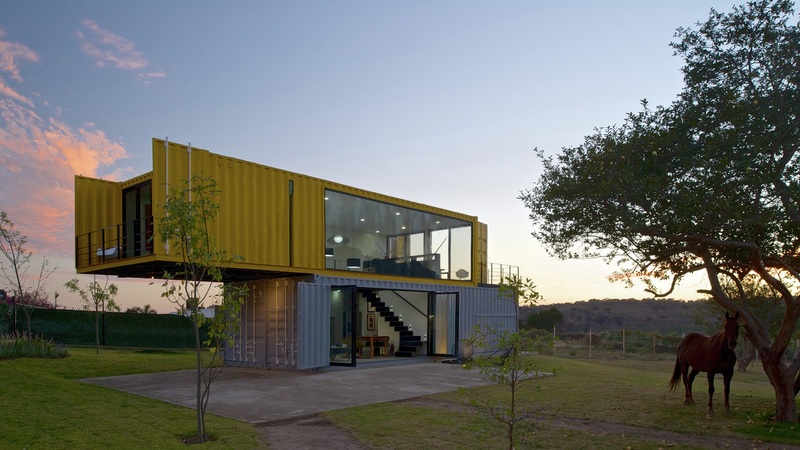 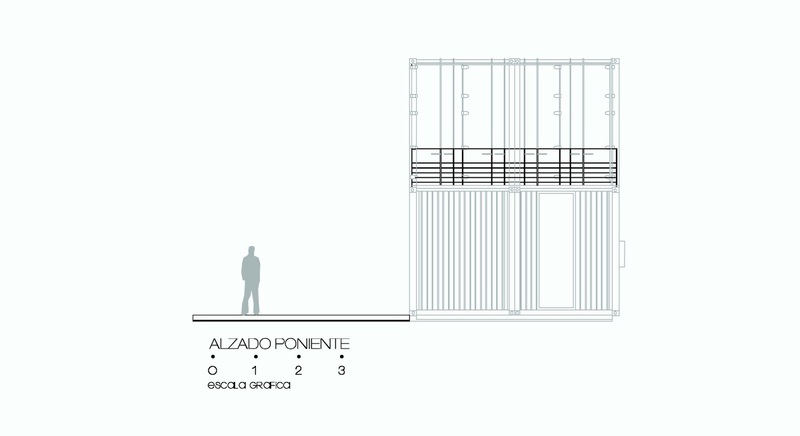 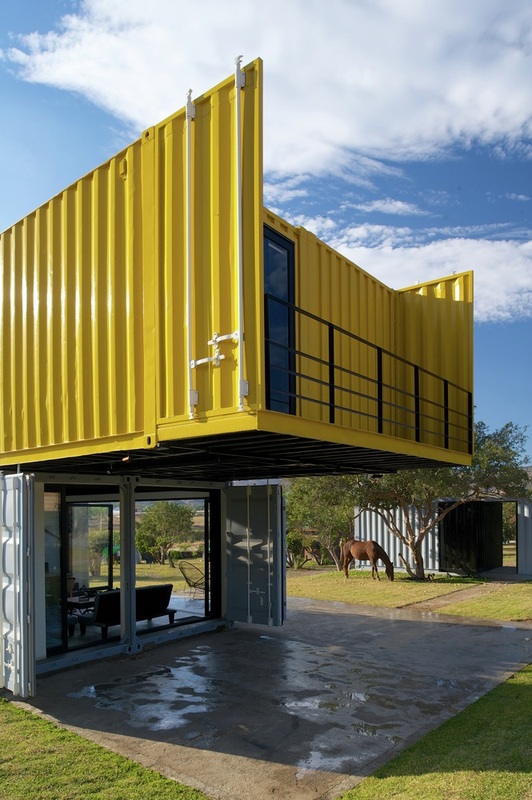 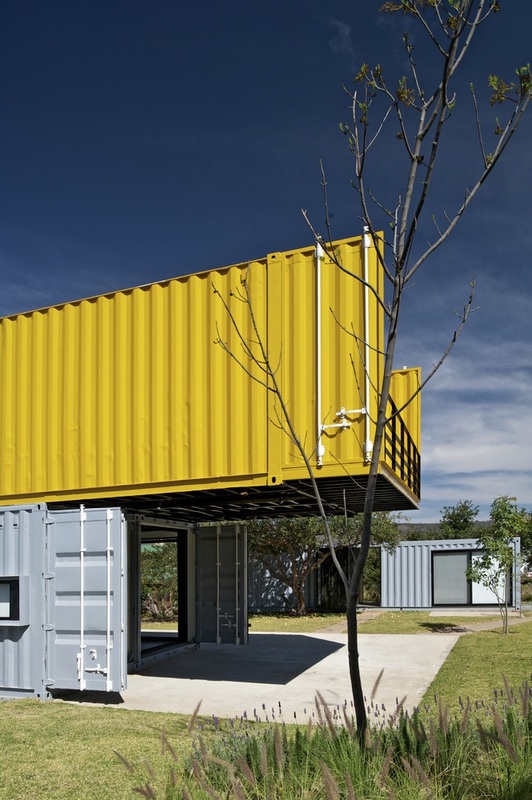 What is Shipping Container Architecture?